30% Off Support - 1/17! Temporal Anomalies have opened a hole to an alternate universe, one with a fantastic sale, Captains. But this Flash Sale will only be available for a limited time – from 12pm-12am PST today only, on all three platforms. Hurry and grab yourself some items at a one of our largest discounts ever, before the portal shuts and it’s all lost. 30% OFF EVERYTHING IN THE "DUTY OFFICERS" AND "PERSONNEL" TABS IN THE C-STORE! Don’t wait! 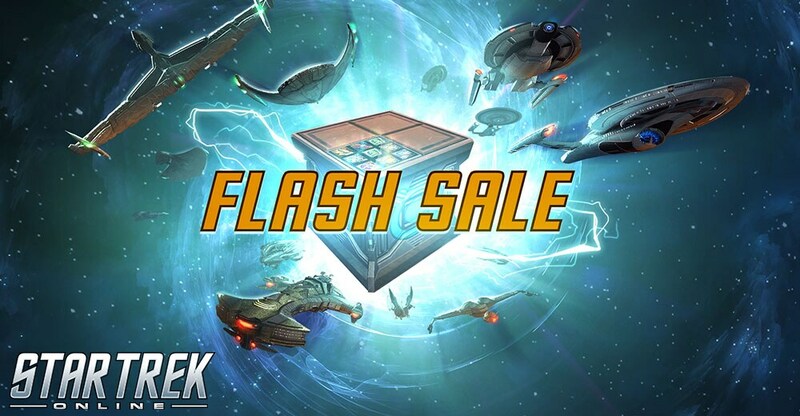 The Flash Sale Anomaly can be gone before you know it!